When it comes to being a villain, it takes all types to oppose the hero! 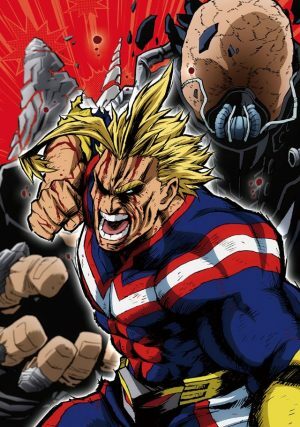 From the misunderstood characters we empathize with to the truly evil souls out to destroy their world, anime covers a wide range of villains. Of course, some of our favorites are the insane power-hungry characters, those that commit evil acts simply because they want more of something. Whether it’s the desire for power, money or delusions of deity, villains of this crazy level will do anything to get what they want. Their morals are often skewed; putting others on a lower level of importance allows for these lesser lives to be easily expendable. We’ll cover the most deviously insane villains in our article, those that believe power rules over all. 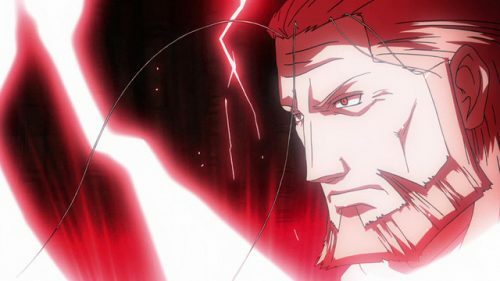 The main villain in the second half of Sword Art Online, Nobuyuki Sugou’s pursuit for power includes marrying Asuna Yuuki and keeping 300 players captive for research. He encounters Kirito in the real world, as well as later on in ALfheim Online as the Fairy King Oberon. Sugou attended the same school as Kayaba Akihiko, developing a bit of a rivalry with the man. Sugou is less of an insane villain as he is incredibly greedy and immoral, though his desire for power does overtake his entrepreneurial side in the end. Hunters are those that lead bold but dangerous lives as they work to capture criminals and look for treasure. Hunter x Hunter follows the story of Gon Freecss and his friends as they take the Hunter Exam and begin an epic adventure together, one that will teach them much about the world! 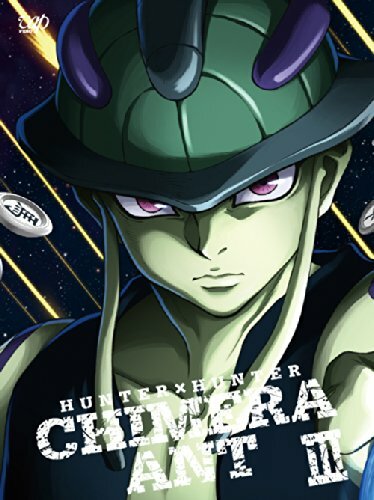 Meruem is the King of the Chimera Ants, being the most powerful Ant born of the Chimera Ant Queen. Though Meruem is refined and intelligent as a villain, he believes himself to be perfect and better than all other creatures, leading to his disdain for many other “weaker” life forms. He violently kills all who oppose him, showing a controlled insanity during battle. However, Meruem does change his thoughts later on in the series, after encountering specific humans and other beings that show strength and value in other ways. Because of this, the King of Chimera Ants is a bit lower on our list. In 2071, humans have expanded into the universe, colonizing several planets and traversing out into space beyond. Along with the police force that governs the universe, there are a number of bounty hunters who help sustain the peace. The spaceship Bebop, with its crew of Spike Spiegel and Jet Black, is one such adventuring vessel. As Spike’s counterpart in many ways, Vicious is the main villain of Cowboy Bebop. He is intelligent and ruthless, working his way up in the Red Dragon crime syndicate until he eventually betrayed its leader, taking over himself. Vicious is unpredictable and it is unclear what he is really after, although his ambitious nature has allowed him to control much of the crime world. The instigator of the Duelist Kingdom tournament, Maximillion Pegasus is also the creator of the Duel Monsters game. Pegasus lives in a controlled world of his own making, which causes him to lose his temper when anything doesn’t go as he planned. 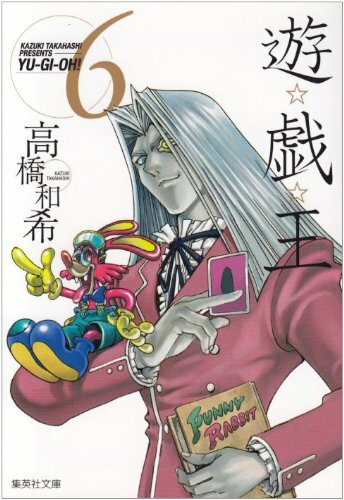 Since he created the Duel Monster card game, Pegasus believes he is the best duelist and is sure of his skill. While he uses some strategy in his dueling, he also manipulates his opponents, often using his Millennium Eye to see what his opponents have in store for him. While Pegasus has a desire for power, he is a bit lower on our list because his desire stems from wanting to revive his lover Cecelia. The original Homunculus, Father is an all-powerful being and the main antagonist of Fullmetal Alchemist: Brotherhood. After Father gains his own physical form, he appears as Van Hohenheim does. Father created the seven Homunculi out of his own vices and emotions, attempting to rid himself of any flaws he himself saw. He is normally calm and collected, but does have an excitable side that comes about when his evil plans succeed. Father wishes to be free from the laws of the universe, desiring such great power for himself that he can surpass all rules and become a perfect being. Makoto Naegi is a completely ordinary high school student. By luck alone, he manages to get accepted to the elite Hope’s Peak Academy, a school that only accepts the most talented students. Naegi is excited about his chance to study at Hope’s Peak along with the 14 other candidates, but their mutual enthusiasm is soon downtrodden. Their principal Monokuma, who is also a bear, traps the students inside the school! It seems that the only way they can escape is to successfully murder one of their own without being caught, which will allow them all to graduate. However, if you are caught in the act, you will be ended instead! Monokuma is the most unusual megalomaniac villain on our list, as he is a stuffed robotic bear and the principal of Hope’s Peak Academy. His appearance is divided into two sides to reflect his two different moods – the innocent side of a teddy bear and a more sinister, sadistic smile. We see his moods especially in the way that he treats the students, which can be kind and full of advice, or tormenting and cruel, usually leaning toward the latter. Monokuma quite enjoys torturing the students he traps, and is violent in nature. Adding to his many flaws, Monokuma takes great pride in his position as headmaster of Hope’s Peak, getting fiercely angry when he is not referred to by his proper title. 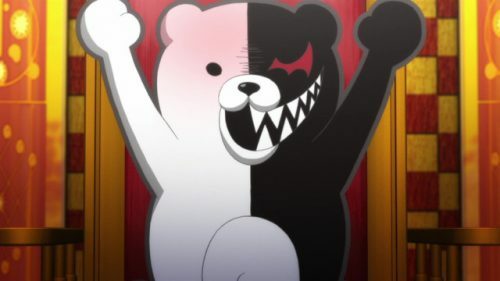 Throughout the course of the trials, it is obvious that Monokuma thoroughly enjoys the job he has been given, relishing in controlling the students in their trials. When Naruto was born, the village of Konoha was being attacked by the Nine-Tailed Fox, Kyuubi. To save the village, the leader known as the Fourth Hokage sacrificed his life to seal the beast inside Naruto. In the present, Naruto’s hyperactive nature gets him in all kinds of trouble. Though he is shunned by the villagers, Naruto’s dream is to become the next great Hokage, and he refuses to give that up for anyone! 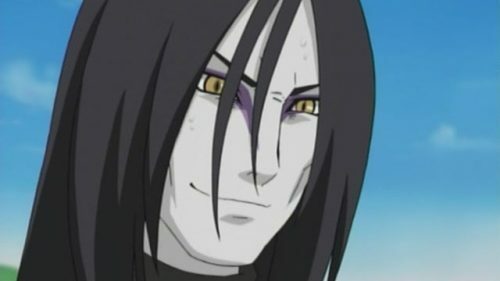 It is said that Orochimaru’s sadistic nature stems from his parents’ death at a young age. 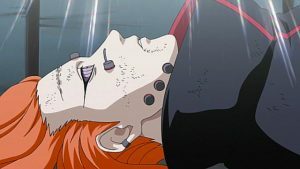 His search for immortality is ongoing, as he gathers powerful shinobi bodies to transplant into when the time is right. His particular interest in Sasuke is merely for this purpose as well, as he desires to become all-powerful and learn every technique in the world with his apprentice’s Sharingan. When Orochimaru lived in Konoha, he often used humans as test subjects for his experiments, subjecting them to horrible and painful changes with no remorse. He is manipulative, using people until they no longer serve his plans and then discarding them as worthless. 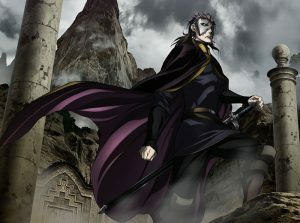 Orochimaru is arrogant at times as well, believing himself to be truly immortal, which can be his downfall in battle. The way a Death Note works is simple – write a victim’s name in between the pages, picturing their face, and that person will die. 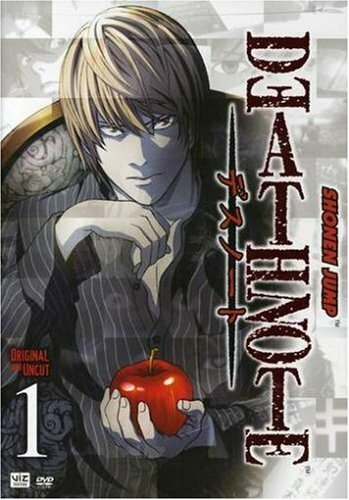 When high school genius Light Yagami finds one of these Death Notes, he discovers the power it brings with it. Disgusted at the state of the world, Light decides to kill all criminals and build a new world, one with him as its god. Though the police and a detective named L are after him, Light will use his full intellect to succeed with his newfound dream! Light appears to be a mild-mannered and handsome high school student, but his demeanor masks a cold, ruthless heart. His pride in his own abilities is steadfast, particularly when it comes to outsmarting and manipulating others. Light relishes in his power over death, especially as his game with L continues. He shows little remorse for others, seeing them all as pawns in his grand scheme and therefore as disposable when no longer in need. 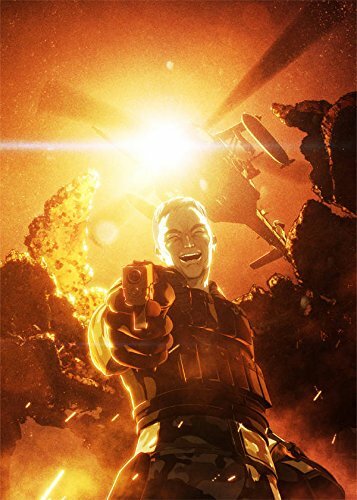 Sato is the main villain from Ajin, though he does not appear to be when Kei first meets him. His personality is calm and cheerful, at least until you try to cross him – then you will meet the chilling, cold-blooded master of chaos that resides within this old man! Sato has always been the kind of person to not understand human emotion, although his anger is terrifying to behold. He has obtained much experience in his life, from military operations to shady dealings, along with a love for arcade games. As such, he often sees his own terrorist antics as a game of chaos, one that he cannot lose because he is immortal. Frieza is Goku’s most persistent enemy, coming after him again and again in an effort to destroy the Saiyan race. He takes delight in showing off his own strength, particularly when using that strength to kill someone or destroy entire planets. 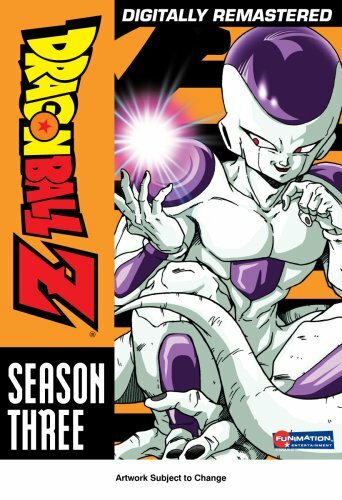 Frieza’s refined demeanor masks an insanity that enjoys destruction and chaos. He is disgusted by all things good, including Goku’s noble actions, and will not show mercy in a fight, though he may sadistically toy with his prey. 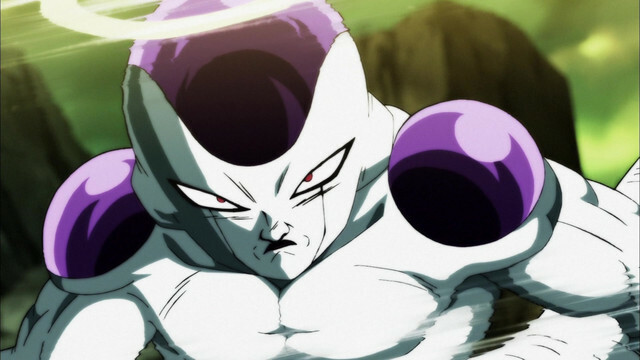 Frieza is a powerful foe, even in moments where his arrogance and pride might hold him back. He truly does not care about anything but his own achievements, easily earning him the first spot on our list. So, do you agree with our list of the most power-hungry villains in anime? Who is your favorite villain? 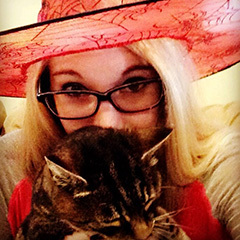 We love to talk about all characters, whether they are good or bad. So please leave your comments for us below!